The Public Meeting for the US 281N project is coming up. This Thursday (I know, I know….the last finals game is also that night!!!) June 20, 2013 beginning at 5:30 p.m. at the Shriners Auditorium located off the 1604 Access Road between Stone Oak and Blanco. If you would like to comment on the project, the proposals, anything you think should be considered which has not been during the two plus year review of the options provided to the public, please either attend this meeting or send your comments via the www.411on281.com web page where there is a place to send in your comments. The comments actually do get read, considered and reviewed and are important to understand feedback from the public about this project. Sitting on the Community Advisory Committee (CAC) for the duration of the Environmental Impact Study (EIS) process has been enlightening and interesting and I’ve heard feedback on previous comments supplied. Please send in your comments! A reminder for you that this weekend, June 22, 2013 at 7:30 p.m. The Almost Patsy Cline Band will hit our stage in the park to entertain you and your neighbors. Please bring a cool beverage and comfortable seats and come and enjoy this neighborhood event while you visit with your neighbors! Just got the updates and additional links from the US281 meeting. If you’d like to see the electronic version of the last newsletter published by MPO/RMA visit www.timberwoodparksa.org and click on the “Local News” tab. The electronic version of the document is posted in the middle column there. Also, there is a link to the Draft EIS and page ES-14 is the one you might be interested in looking at to see traffic volumes, costs, and speeds anticipated by each alternative. The calendar on that page has been updated with upcoming events and activities for your review as well. On June 5, 2013 I attended the latest meeting of the CAC (Community Advisory Committee) for US 281 project proposals. This was the latest in a series of meeting for which I have been a committee member for more than 2 years now as the County, RMA, MPO and other agencies work to prepare an Environmental Impact Statement (EIS) for whatever the final choice will be to move forward improving and upgrading US 281 from Sonterra Boulevard to Borgfeld Road. Some of you may already be on the mailing list that sends out newsletters intermittently as this committee continues to refine the options and choices before us. Some of you may follow the web page that was developed to understand what our upcoming choices will be for the improvement of US 281. There is a tremendous amount of information on http://www.411on281.com including the Draft EIS and much of what the committee has been developing for the last two years that is a great tool to learn more. This process has been a long, tedious one and the options all have their flaws and positive aspects. What’s important here is that we are now reaching the end of this process with the upcoming public meeting that has been scheduled for June 20, 2013. The meeting will begin with an open house on June 20, 2013, starting at 5:00 p.m. at the Shriners Auditorium located on the access road of 1604 between Stone Oak and Blanco Road. As a voting member of the community, you are entitled to supply comment, opinion and/or complaint about what you believe the best solution for this roadway is. Comment is the only way the team working this project knows how the general public feels about each option. Final options being considered include toll ways, an expressway, and managed lanes. These three options have been sifted down from our initial meetings on the subject more than 2 years ago, with 5 or 6 options, to be the best and most logical solutions based on substantial input and review of mitigating circumstances and resulting problems that could arise for other alternatives which were initially considered. The public meeting is important, but even more important is you providing your comments to the group via attendance at the meeting, via a 3 minute opportunity for each guest to speak to the group, via the web page where comment is offered, or by sending messages through to RMA, MPO, etc. directly. I recommend you provide comment via the web page listed above about which alternative you believe best suits our community. If they don’t hear from you, decisions will be implemented without feedback from those who use the roadways the most. I know that is the final game night for the finals Spurs if we go to game 7. Understandably, that means if they are still playing there will be a likelihood no one wants to attend a long winded, boring public meeting as an alternative to their evening’s entertainment! I do encourage you to supply a comment to the group via the web as a means to let your voice be heard. The group will be answering each and every comment being made although most likely not directly back to you as an individual. Further, if the comment warrants further investigation, for instance if someone comes up with something no one has considered during this process. it will be investigated and applied accordingly. After this public meeting there will be a review of comments and concerns and unless there is a great deviation or question about what is being considered the final recommendations will be made to move forward for this project and the final EIS will be issued. The other thing you need to understand is the funding to improve US281 is only partially there at this time. The county, who has recently taken over RMA duties, has $170 Mil set aside for this project. Each of the three options mentioned previously requires about $450-500 Mil to accomplish. RMA monies would need to be funded somewhere in the $350 Mil range and as of yet has not yet been identified. To give you another perspective about how this is all tied together, while there is an additional $60 Mil set aside to do the North connectors project at US281 and 1604, that project cannot begin until this draft EIS is approved and becomes the final EIS. From attending this process start to this point I can tell you there were many, many facets of life and considerations taken into account determining impact to quality of life on the far north side and what the best alternative is for this population’s future. While just my opinion, I believe we cannot afford to do “no build” or nothing. Attending this process, listening to the various opinions, various groups interested in a specific model, and learning from neighboring communities about their difficulties and needs in addition to Timberwood Park and how we are impacted by this commute, has given me a much more balanced look at why each option has its flaws and its positive influence for our neighborhood. Leaving US 281 in it’s current state will continue to hamper the population needing its use on a daily basis and as population continues to migrate this direction, it will continue to become more and more difficult. That leaves the three alternatives as a solution to move forward: toll ways, expressway, or managed lanes. Please provide your comments after taking a look at the 411 on 281 web page. There is a place on the web page to submit comments. The various agencies managing this project need to hear more than just the CAC members opinions in order to make an informed, well rounded decision moving forward. If you cannot or do not wish to attend the public meeting, consider sending in your comments via the web page. There is a draft EIS located out on that page as well and some general information about the options that are being considered along with drawings and information you will find useful for your commenting process. Contact me if you’d like more detail and I’ll supply what I have available. I am currently working to get slides from the presentation we saw on Wednesday night that will be presented to the public meeting on the 20th. 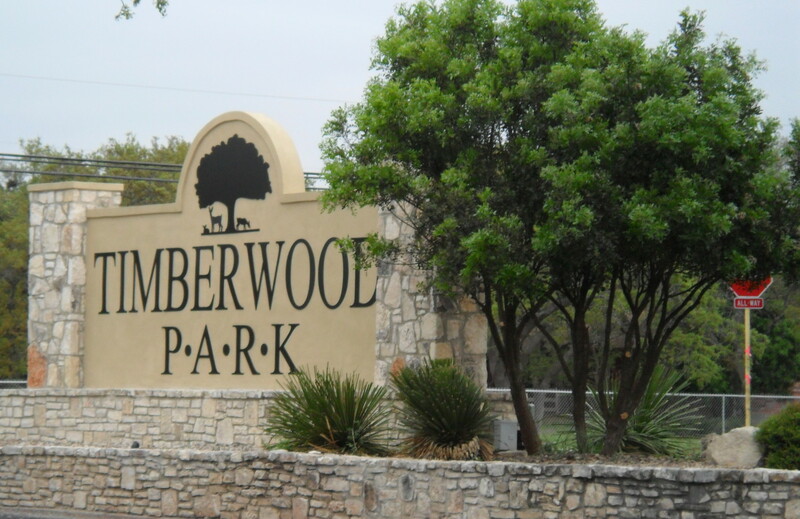 Once I have them available, I will post them to the www.timberwoodparksa.org web page under the Local News tab. You can let me know via the blog by commenting on this post or you can send me an e-mail and I’ll get back to you.